Coconut oil is extremely useful as a health and beauty product. People use it for various things, from moisturizing the skin, removing makeup, and even for cooking. There are people who also use coconut oil for hair treatment. Coconut oil is rich in vitamins, minerals, and carbohydrates. Aside from coconut oil hair treatment, it is also used in the preparation of cosmetic creams and soaps. It is also used as an ingredient for various dishes in Asian countries. For thousands of years, coconut oil has been used in treating hair. It has components that make the hair nourished, strong and protected against excessive hair loss. Below are other benefits of coconut oil for hair. Since ancient times, coconut oil hair mask has been used for grooming in India. There are various home remedies that use coconut oil and herbs to prevent falling hair. One home remedy that is used today is made by boiling sage leaves in the oil. Then the mixture is applied to the scalp. Another home remedy that can prevent hair loss is the mixture of coconut oil and lime water. You can also try mixing coconut oil with gooseberries to get the same effect. Coconut oil has a cooling effect on the scalp. When applied directly, it can soothe and cool the scalp. It is recommended for people who are suffering from severe sweating of the scalp. The coconut plant stores a lot of water in its fruit. When the fruit is made into oil, the resulting oil maintains its hydrating ability. That is why coconut oil is a great moisturizer for dry scalp. When applied to the scalp, it is absorbed quickly and makes the scalp healthy. People use coconut oil for hair as a natural conditioner. It is more effective than the synthetic ones found on the market today. Warm coconut oil hair treatment solution will help your hair become soft and shiny. It is recommended to apply warm oil at night and wash your hair and scalp in the morning. You should repeat it every couple of days to maintain strong and healthy hair. The fatty acids in coconut oil give it a soothing quality. It works by filling the gaps in the hair strands that have been damaged. Coconut oil penetrates deep into the hair follicle and makes the hair stronger. When used regularly, you will notice your hair suffers less breakage due to environmental damage. Coconut oil can also be used as styling oil. It melts when heated and condenses when cooled down. When it is applied on the hair, it thins out and spreads evenly because of the inherent heat of the scalp. Once the hair comes into contact with air, the oil condenses, and it works just like a styling cream or gel. People with dry hair can benefit a lot from coconut oil hair treatment. Using strong hair care products can lead to a dry and flaky scalp. The best alternative is coconut oil. It is effective in moisturizing dry hair because it has a high moisture retaining capacity. Coconut oil is very stable because it can’t easily evaporate or broken down. It keeps the hair soft and moist, which helps in preventing breakage of hair. You don’t need to worry about harsh side effects. You can mix coconut oil with warm milk and henna to create a paste. Apply it to the hair, and leave it for 20 minutes. Then rinse the hair properly. This is an effective hair conditioner for dry hair. If you have lots of split ends, the only solution is to cut them. But if there are only a couple of split ends, then you can use coconut oil hair treatment solutions. Mix coconut oil with almond oil, and apply it to your hair. Let it stay on your hair for a couple of minutes. This will help reduce the number of split ends in your hair. Dandruff is white flakes of dull skin. More often than not, dandruff also comes with an itchy scalp. There are different things that can cause it. You can use coconut oil for hair to treat the cause of dandruff. The oil can kill harmful bacteria that thrive on the scalp. Not only that, coconut oil moisturizes your scalp as well. The oil has several fatty acids that make it an effective anti-dandruff agent. Regular use of coconut oil for hair can help get rid of dandruff. When the oil is mixed with castor oil and warm water, the resulting solution is an effective anti-dandruff treatment. Another home remedies for dandruff it to mix coconut oil with sesame oil. Coconut oil hair treatment can make the hair grow faster. Not only that, the hair is also stronger and resistant to breaking. By massaging coconut oil into the hair, you also improve the blood flow to your head. It stimulates the hair follicles to make hair grow thicker. Coconut oil hair mask is an effective solution to treat hair damage. The oil contains a large amount of lauric acid that can easily penetrate deep inside the shaft of the hair. 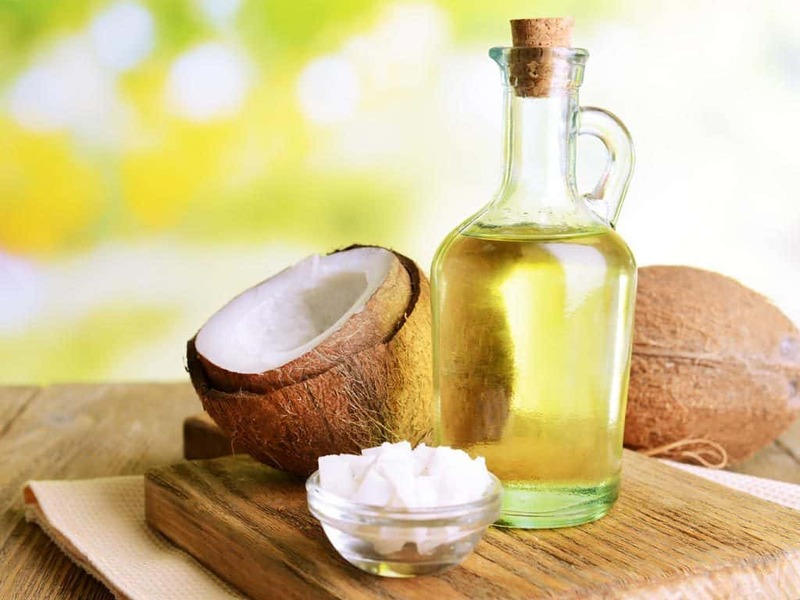 Coconut oil for hair can be used before or after hair grooming. Lice can cause a lot of embarrassment for anyone. What makes matters worst are those lice tend to come back even if you successfully got rid of them. While there are effective products on the market to treat lice, they are made of harsh chemicals that can damage the hair and scalp. The best home remedy is to wet hair with coconut oil for treatment of lice. This will make it easier to comb the hair with a fine comb that will get rid of the lice without damaging the hair. These are the benefits of coconut oil for hair. You can easily buy the oil in the market. The best thing about coconut oil is that it can be used for all hair conditions. 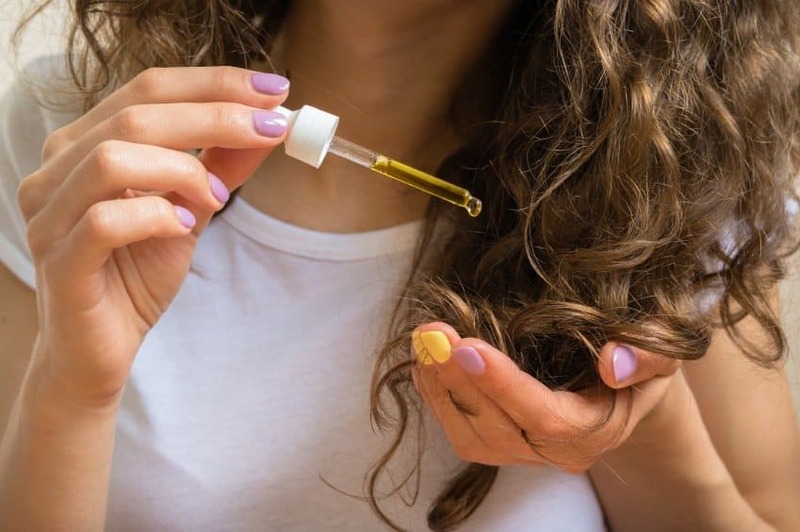 Regular use of the oil will make your hair healthier and stronger.